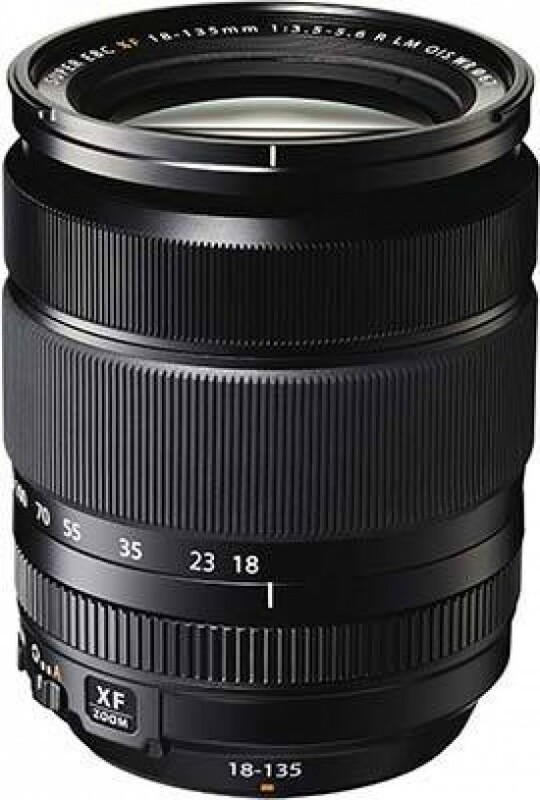 As the first weather-resistant lens for the XF system, the new Fujifilm XF 18-135mm F3.5-5.6 R LM OIS WR offers an appealing combination of versatile zoom range, good image quality, excellent construction and handling, and fair value for money. Centre sharpness is very good throughout the zoom range, only requiring the user to stop down by one f-stop the lens to get the best results. Edge sharpness proved to be a little disappointing at the 18mm setting, although it thankfully improves at the other focal lengths. The maximum apertures of f/3.5-5.6 are on the slow side, although the seven-blade iris diaphragm achieves some appealing bokeh effects none-the-less. Vignetting is practically a non-issue, and chromatic aberrations are only noticeable by their almost complete absence. There is some slight barreling at the 18mm wide-angle focal length, but very little pincushion distortion of note at the 135mm setting. The Fujifilm XF 18-135mm F3.5-5.6 R LM OIS WR benefits from a fairly fast and pleasingly quiet auto-focus mechanism, generously wide zoom ring and a welcome aperture ring which makes it quick, easy and precise to set this key element of exposure. The lens mount is, thankfully, made of metal and, thanks to an internal focusing (IF) system, the front element and filter thread does not rotate on focus, which is very good news for those using polarisers and ND grads on a regular basis. Priced at £749 / $899, the Fujifilm XF 18-135mm F3.5-5.6 R LM OIS WR is certainly not a cheap lens, but it does feel built to last, delivers good images whilst offering a very versatile focal range, and could conceivably take the place of several much more expensive primes if you don't mind the rather slow maximum apertures. Combined with the X-T1 camera, it's a very good one-lens solution that will withstand the elements and therefore makes a good addition to your lens lineup, even if you already have lenses that cover the same focal range.